Born on January 14, 1940, to George W. and Louise Bremer Benz, in St. Paul, Minnesota, passed away on February 1, 2019 in St. Paul. He was a descendant of the Hamm’s Brewing, the Jacob Schmidt Brewing and Bremer Bank families. 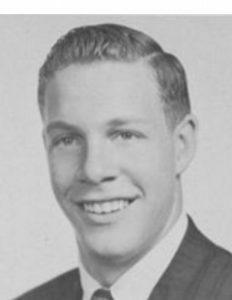 George was a graduate of The St. Paul Academy and Summit School in 1958, Williston Academy in 1959, University of Munich and Goethe Institute (Germany) in 1961, Colgate University in 1963, and The University of Minnesota Aeronautical Engineering and Business Law in 1965. George married Karen Bassett of Mora, MN in September, 1972. He was preceded in death by his parents and sister, Josephine Benz Carpenter. George is survived by his sons, George and Theodore (Derek); daughters-in-law Stephanie and Elizabeth and 2 grandchildren, Theodore (Finn) and Hendry as well as a sister, Louise Benz Plank of Buffalo, WY. George was the Chairman of the Board of American National Bank and Trust and Co-Chairman and CEO of American Bancorporation, Director of Commercial State Bank, Lake City State Bank, and American Bank and Trust of Moorhead. He was also CEO of George Benz and Sons and Owner of Oak Grove Dairy, and President and Director Jacob Schmidt Company. Along with his professional career, he cared deeply for many local associations serving as Vice President and Director Indianhead Council- Boy Scouts of America, Vice President and Director Minnesota Club, Vice President and Director Minnesota Chamber of Commerce, Trustee Children’s Hospital of St. Paul, Treasurer and Director Ramsey County Lung association, Treasurer and Director Minnesota Society for Crippled Children and Adults, Trustee of the Courage Center Foundation, Director Junior Achievement of the Upper Midwest, Director Optimist Club of St. Paul, and Founding Financial Advisor Mounds Park Academy. He also served on the boards of the United Arts Fund, the United Way Fund, Norwesco, Horton Manufacturing, Bellanca Aircraft Corporation, Quintero, White Bear Yacht Club, and Desert Mountain golf clubs. George’s love of flying began at age sixteen when he earned his single engine pilot’s license. While attending Colgate he furthered his flying dreams by attaining his Commercial, Certified Flight instructor, air land and sea, multi engine and instrument ratings. He was Vice President and Director of Aqua Float Corporation, Vice President and Director of the Cessna dealership, Wings Inc. and then worked his way up to Vice President at Cessna Aircraft Company where he met the love of his life and co-pilot, Karen. Together they dedicated their lives to various philanthropic endeavors and traveled the seven continents. 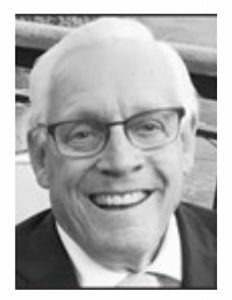 He shared his love of golf, winning the White Bear Yacht Club Invitational Championship as well as a Mr. and Mrs. Championship; his love of skiing by producing the film “Alta Man”; sailing, hunting, boating, fishing and hockey with his family. Mass of Christian Burial will be on April 26, 2019 at 11:00 a.m., at St. Mary of the Lake, White Bear Lake, MN. In lieu of flowers, the family requests donations in memoriam to Children’s Hospital Neuroscience Center of Minnesota. George Benz was my room mate in 1959 the one year he attended Williston. He graduated in 1959. He was the easiest person to get along with I ever met. We never had a disagreement during the year we lived together. While George had many interests as well described above, none could surpass his passion for flying an airplane. It is a wonder that he did not end up in the airline industry or as an astronaut. In the years since we left Williston, I spoke with George 2-3 times, and nothing much had changed. He was as jovial as ever, and he imparted his latest tale of the wild blue yonder. There is no doubt in my mind that he is still up there with both hands on the wheel going higher, and higher, and higher ! Godspeed!